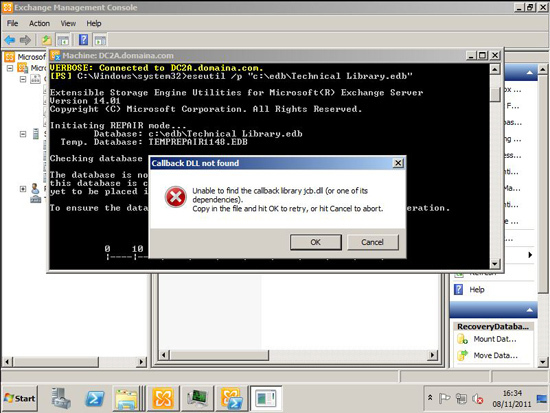 Unable to find the callback library jcb.dll (or one of its dependencies). 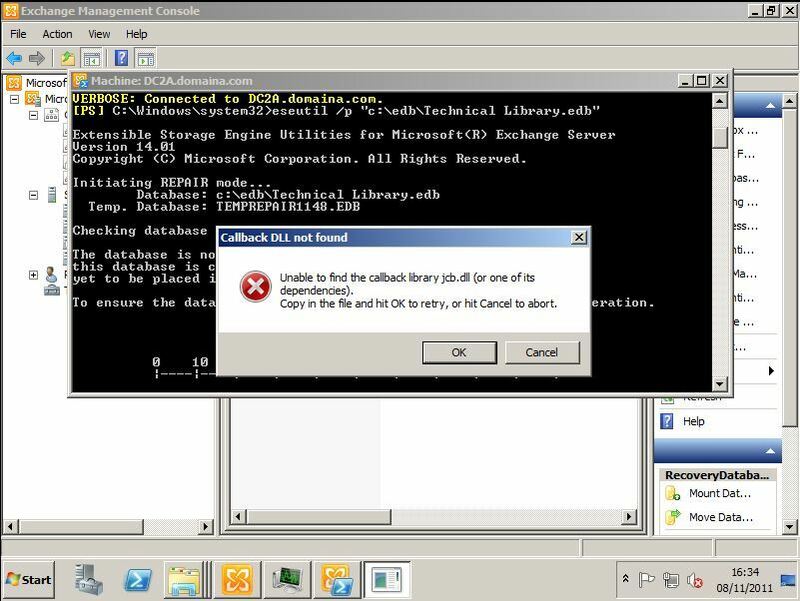 Copy in the file and hit OK to retry or hit Cancel to abort. 1. 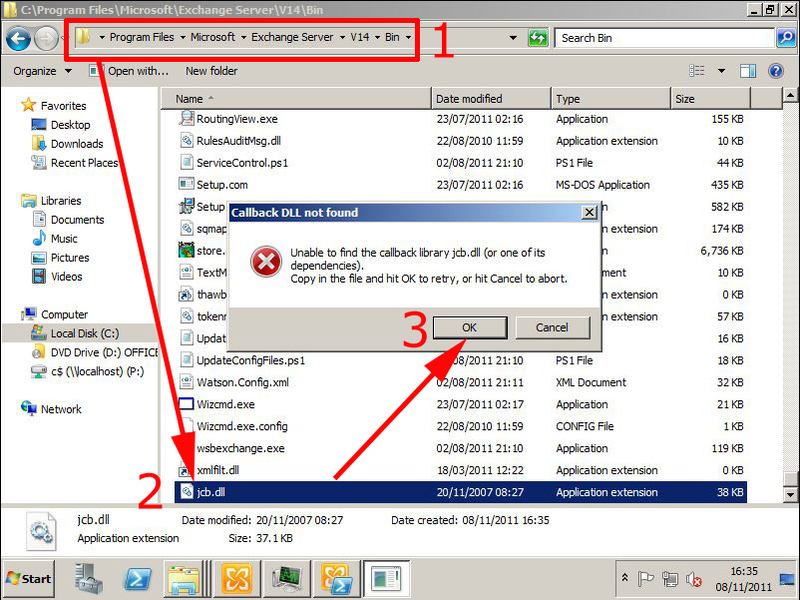 Download this zip file, and extract the jcb.dll to the “bin” directory on your Exchange server, then click OK to continue and eseutil will complete.